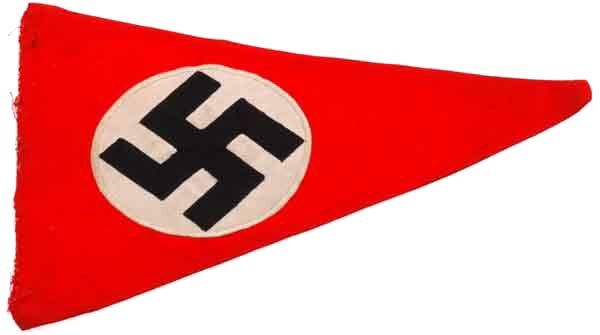 NSDAP Pennant: This is a very high quality 24x33x33 cm pennant, each side has its own finely woven red cloth body sewn together in such a way that you can't see a single stitch - incredible! 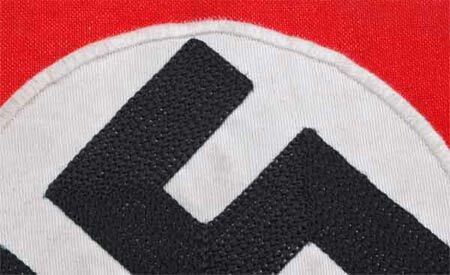 The black rayon swastikas are machine embroidered in with a stunning wave like pattern onto 12 cm ribbed white silk or rayon disks that are surge stitched to the red cloth. The pennant might have had a leather re-enforced edge at one time but now the inside hemmed edge is hand sticthed together with period thread. 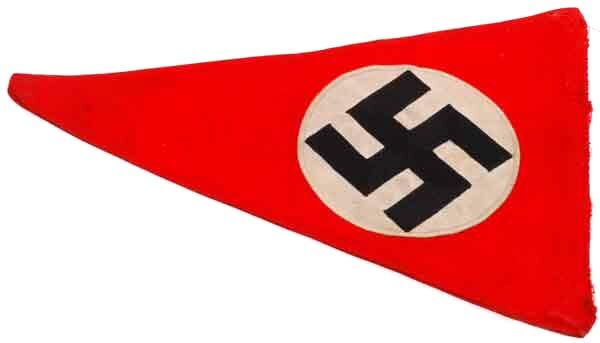 Take a look at the close ups below, this is one well made pennant. 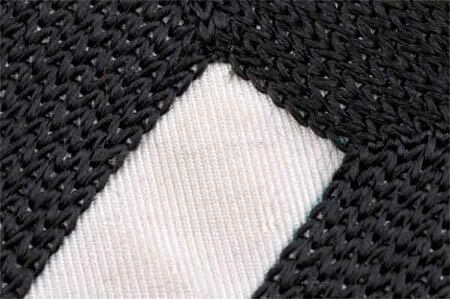 Very light wear, excellent shape.